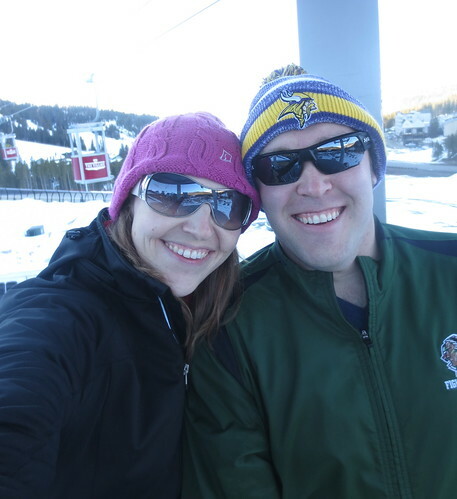 Back in the beginning of our relationship, Brandon and I would go for ski trips around Valentine’s Day. 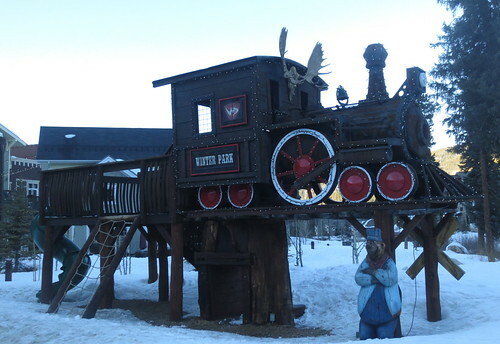 After the demise of the Ski Train, that kind of stopped. However, we’ve managed to revive the tradition the last two years. 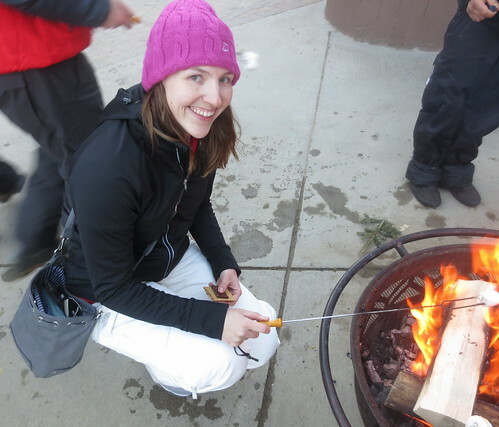 Last year, we spent the night post-skiing and we stayed at a lodge in town. This year, we went up the night before skiing and stayed a short gondola ride away from the base – a much better option. 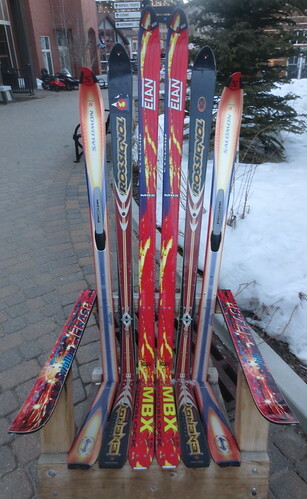 If you talk to a Coloradoan who skis, we all have our favorite resort. I’ll admit that I haven’t skied too many places, but after growing up on Winter Park and loving it, why would I WANT to ski anywhere else? Riding the gondola to the Village. 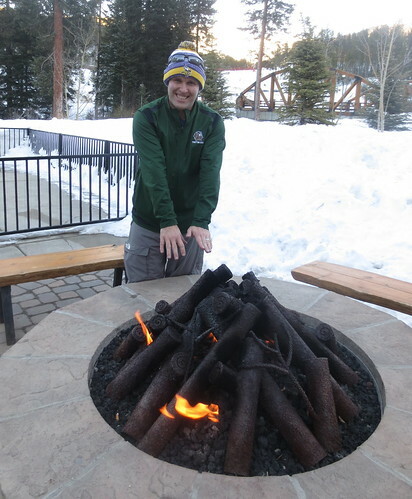 Brandon warming himself up at a fire pit. 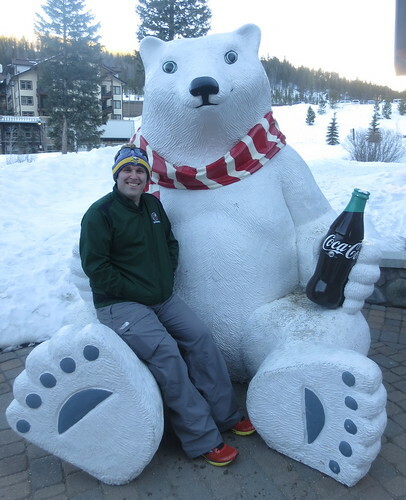 The giant Coke fan hanging out with the Coca-Cola polar bear. 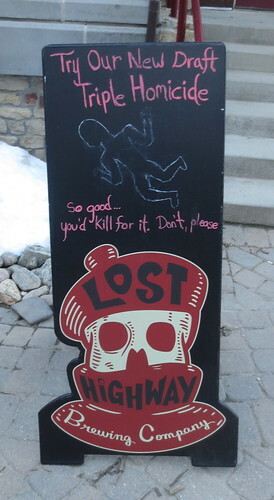 Amusing sign outside one of the bars. 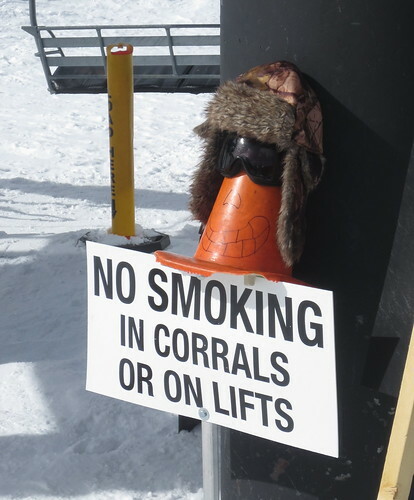 Cone dude at one of the chair lifts. 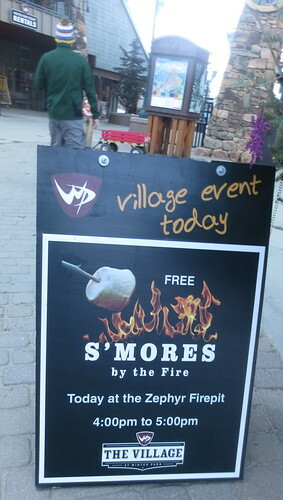 If you want some photos of us on the mountain, check out the tri blog.